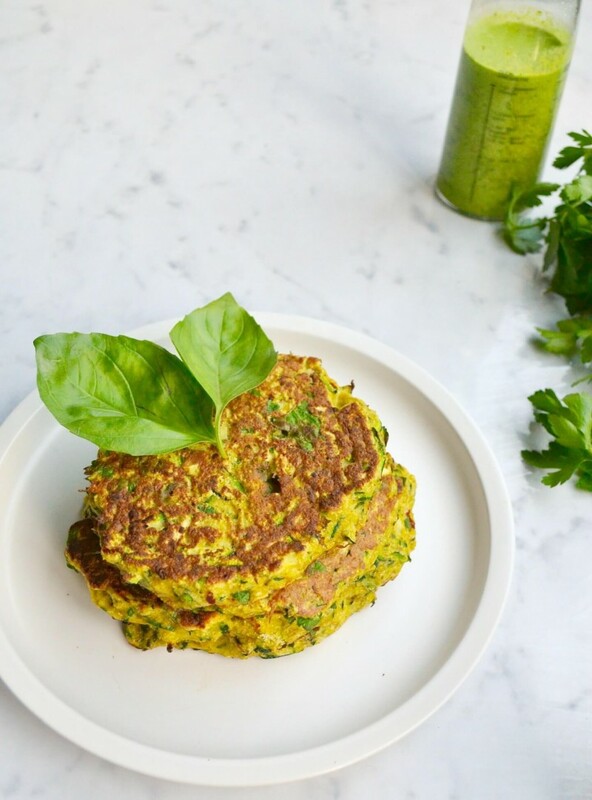 These healthy, low carb AND gluten free fritters are perfect for any meal, any time of day! 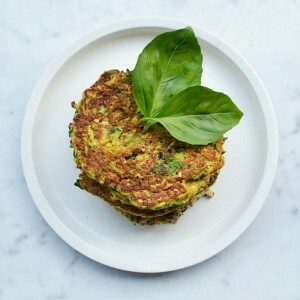 Containing a serve of protein, healthy fats from the eggs and coconut flour, while being packed with fibre thanks to the psyllium husk – these fritters will keep you feeling full and satisfied. What in the world is psyllium husk, you ask? Head to Balanced Body Nutrition to find out! Heat a non-stick cooking pan on medium heat. Grate zucchini and add into the bowl with the eggs. Add in all other ingredients (except for the extra virgin olive oil) and mix until combined. Add about 1 tsp extra virgin olive oil to the pan, enough to lightly cover the area you will pour the fritter mixture onto. Pour about 1/4 of the fritter mixture onto the pan and lightly press down with the back of a spatula. You can use more or less or the mixture depending on the size you want your fritters. Just don’t make them too thick or they don’t cook through well. Cook for a few minutes each side until browned and cooked through. Repeat steps 4-5 for the remaining of the mixture. Serve up on their own, or add a fresh salad, or top with smoked salmon or a poached egg for a larger meal.